Registration for the ACTLA 45th Annual Conference is now closed. The Association of Colleges for Tutoring and Learning Assistance (ACTLA) was organized in 1973 with the purpose of improving tutorial programs and services in California Community Colleges. The first conference was held at Allan Hancock College in Santa Maria on May 2, 1974. Through 1983 the organization was called the California Community College Tutorial Association (CCCTA). Beginning in 1984, with the intention of including all institutions of higher education in California, the name changed to the Association of California Colleges for Tutoring and Learning Assistance (ACCTLA). In the summer of 2002 a strategic planning committee of the executive board approved a final name change to the Association of Colleges for Tutoring and Learning Assistance (ACTLA). More than 30 years after its inception ACTLA is now a national organization but retains its original purpose: improving tutorial programs and related services. ACTLA loves its roots (all segments of higher education in California) but its canopy (a national organization with a CLADEA affiliation) is the direction and purpose we've had for 15 years! The Association of Colleges for Tutoring and Learning Assistance (ACTLA) is dedicated to the improvement of diverse college and university tutoring and learning assistance services. Education and development of the professionalism of its members and commitment to the success of all students are at the heart of the Association. i. To make recommendations to state administrative and legislative bodies. 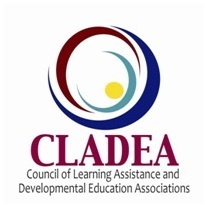 ACTLA is a member of the Council of Learning Assistance and Developmental Education Associations.